Drivers in New England know that life on the road is full of surprises, like potholes and black ice. That’s why we encourage you to take full advantage of your local Balise Nissan of Warwick service center to put the odds in your favor. Getting timely oil changes and tire rotations can go a long way in contributing to the healthy life of your Nissan car, truck or SUV. Plus, well-inflated tires and properly working brakes keep you and those you love safe. From routine maintenance like brake inspections to larger, unexpected car repairs, our skilled technicians are here to help you with all of your automotive needs. They can diagnosis the issue and make the repair or adjustment you need to drive home to Cranston, Pawtucket, East Providence, Coventry RI or North Attleborough MA today. While we specialize in servicing Nissan vehicles, we perform repairs on all makes. Our professional mechanics are experts at their trade, and they’ll spend the time explaining each and every detail of the auto repair process so you can better understand your vehicle’s condition — as well as exactly where you money is going. Looking for Nissan repairs in Rhode Island? Rest assured that we only use genuine Nissan car parts on your vehicle. Of course, we will give your used car of any make or model the same care and courtesy we give to our Nissans. We genuinely care about the well-being of our neighbors, from Warwick to Providence, and we’ll give your car problems the attention they deserve. From a check engine light diagnosis or battery test to a multi-point inspection, we perform all services thoroughly and efficiently so you’re back on the road in a safe vehicle in virtually no time at all. Find out today how we’re able to offer Balise service Warwick, RI drivers depend on. Schedule Your Next Car Service Appointment Online — at Balise Nissan of Warwick It’s Really That Easy! Your time matters to the Balise Nissan service team. Simply use our online appointment scheduler to make a car service appointment for your vehicle. Just fill in basic model information, then use the online form every time you need to book, cancel or reschedule your car service appointment. It’s like our Balise Nissan service department is open 24/7 with this convenient online tool, so even if you remember at 3am that you missed your vehicle’s recommended oil change, you can immediately schedule an appointment from the comfort and convenience of your electronic device. Since it’s so easy to find us at 1350 Post Road Warwick, Rhode Island or make an appointment for auto service online, why wouldn’t you do so? If your car just isn’t driving the way you feel it should, or if you’ve been putting off scheduled maintenance, the time to bring your car into our certified Nissan service center is now. We have plenty of service specials to keep both your wallet and your car happy and healthy. Feel free to give us a call with any questions at 888-475-5573. Below are just a few of the many services we perform at our Certified Nissan Service Center. Have questions about the types of maintenance and repairs we offer? Feel free to reach out to our knowledgeable service advisors. Brake Service. Even with well-maintained brakes, it’s inevitable that your vehicle’s brake pads will become worn. We’ll replace them with a fresh set before they’re dangerously thin, as proper and prompt brake service is critical to driver safety. Oil Changes. We know precisely what type of oil and filter works best with your particular vehicle to keep all moving parts well-lubricated. Regular oil and filter changes are one of the easiest ways to help maintain your vehicle’s impeccable performance. Tire Service. Alignments, snow tire installation, pressure check, tread inspection, damage diagnosis — we do it all. Regular tire rotations also help the entire set last longer, and we can perform all of these tire repairs and services at our Warwick, RI facility. Battery Check and Replacement. Car batteries need to be replaced every few years, and putting off this service can leave you stranded without warning. We’ll check your battery’s power and projected lifespan to ensure you’re not greeted by a surprise dead battery one morning. Transmission Repair. This service, above most other services, requires the expertise, skills, and equipment of a professional. We meet all of this criteria — genuine Nissan parts, factory-trained Nissan master technicians, and the means of a Certified Nissan Service Center. Diagnose Check Engine Light. It could be nothing, or it could be a significant something, but whatever that ominous light means, we’ll figure it out in a timely manner. Coolant System Flushes. Your radiator and cooling systems need to be regularly attended to, as coolant and antifreeze solutions weaken over time. Ignition System Repairs. Your battery may not be the reason your car is failing to start — and if it isn’t the reason, it’s most likely a component of the ignition system, such as the starter or ignition. This is another service that needs to be performed by a professional — and we have just the team to do it. Air Conditioning Services. Your air conditioning system is more complicated than you think, and if there’s a leak, our factory-trained technicians have the skills and equipment necessary to fix the problem. 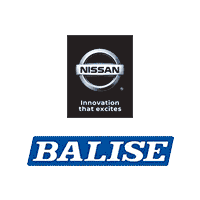 At Balise Nissan of Warwick we are proud to offer professional car repair and auto maintenance services on-site at our RI dealership.